KARIYA, JAPAN, Feb 12, 2018 - (JCN Newswire) - DENSO Corporation, one of the world's largest automotive suppliers, today announced it has agreed to a technical adviser contract with Takuya Oikawa, a leading global developer of software products. The global automotive industry continues to shift dramatically, with greater concentration on electrification, automated driving and connected driving. Competition from other diverse industries and new players looking to enter the space likewise increases. DENSO is committed to being a world leader ushering in this future of mobility, and views information and communication technology (ICT) as a core path to accelerate new innovations through cloud platforms and open source software. DENSO's technical adviser contract with Oikawa will help upgrade its ICT and promote businesses in electrification, automated driving, and connected driving. Doing so pushes DENSO's open business and development beyond merely manufacturing automotive components, delivering products to meet society's changing transportation needs. 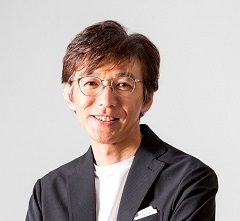 Oikawa, a graduate of Waseda University's School of Science and Engineering, led the development of the international versions of Windows at Microsoft after working for a foreign-affiliated company. He then joined Google and served as engineering manager of the Chrome Web Platform team before later joining Increments, Inc. which hosted Qiita, a Japanese software engineer knowledge-sharing community service. He has long worked on standardization and developers community, including infrastructure, security and web technologies. Most recently, Oikawa evangelized product management and engineering management in Japan. He became independent in 2017.